See the updated list for 2017– click here! Liquid lipsticks are one of my favorite beauty innovations. Usually long lasting and ultra pigmented, they’re perfect for busy days and low maintenance looks. 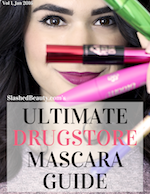 Over the past few years, more variations have been popping up from top brands, both drugstore and high end. From mattes, to glossy, to metallic and everything in between— there’s a liquid lipstick for any trend you’re hot on. For a while, you had to pay good money for one that performed really well, but no longer! These are some of my favorite drugstore liquid lipsticks, and three that are worth splurging on. Linked below are the ones I’ve reviewed and swatched on the blog previously. The Milani Lip Intense Liquid Colors ($7) apply with a cushy consistency, and stay feeling moisturizing while they dries down. You get full opacity in just one swipe with color that lasts for hours. The L’Oreal Colour Riche Extraordinaire Lip Color ($10) and Maybelline Color Elixirs ($9) have very similar formulas that are a fusion of balm, gloss, and lipstick. They stay glossy and comfortable throughout wear time as they hug the lips, and aren’t sticky in the slightest. Since these don’t dry down like standard liquid lipsticks, they are more prone to transferring and so will need to be retouched after a few hours for full color payoff. The NYX Soft Matte Lip Creams ($6) are a recent discovery/obsession of mine. They first go on as a mousse texture but soon dry to a satin-matte, giving full coverage color with a thin layer. They have a similar look and feel to the Lime Crime Velvetines ($20), but the Velvetines dry down to be completely matte and last longer. Both need balm underneath to avoid a dry feeling throughout the day. Rimmel’s Show Off Lip Lacquers ($5.50) have all the pigmentation of a high-powered lipstick and all the shine of a luxe gloss. My favorite part, besides the strong color, is the doe foot applicator that has a pocket to hold a reservoir of product for easy application and no double dipping! L.A. Girl Glazed Lip Paints ($3.50) gained popularity for their clear similarity in packaging to the Too Faced Melted Lipsticks ($21). While the formulas are very different, they are equally satisfying. Both extremely pigmented, the Glazed Lip Paints are more glossy while the Melted Lipsticks stay creamy from application to the end of the day. Finally, OCC Lip Tars ($18) are what I would consider the O.G. liquid lipsticks. These babies have been around forever, and dominate the scene with their intense color and budge-proof wear time. These are entirely worth the price, because you hardly need half of a pea-sized amount to drench your lips in your shade of choice. They come in a large variety of finishes, and are amazing to mix with each other to create custom colors. But I can imagine they expire after 12 months? Not to my knowledge. Since you’re not applying them straight to your lips, you’re not contaminating them! 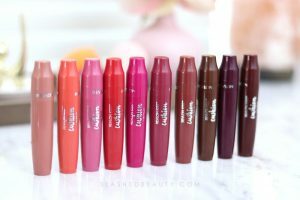 I picked up a few of the Maybelline ones recently, but haven’t had a chance to try them. The Rimmel and NYX ones are also on my makeup wishlist. I’d love to try the Melted lipsticks, but the price is too high for my tastes. Maybe if Ulta puts them on a Beauty Steal. I was going to pick up some of the LA Color Glazed to see if I liked them, but they apparently have mint in them. Boo! Yep, I’m allergic to mint. It makes finding a dentist and shopping for dental products really interesting. Oh! Where/when did you find the Melteds on a BOGO sale? It was at a beauty convention called PHAMExpo here in California– those expos have incredible markdowns on makeup! Darn! I’d think we have conventions like that in TX. The best price I’ve seen on the Melteds has been ~$17 when Ulta has the 20% off coupons that work on prestige brands. BeautyCon is in TX this year! You should look into attending! Oh, I didn’t even hear about that one! I’ll check my calendar. The tickets are a bit steep, though. Do you (or anyone else who wants to join the conversation) know if the Pro ticket is worth the price or what usually comes in the swag bags? The general tickets are even a bit high for not including swag. I haven’t been to BeautyCon but swag bags that I’ve gotten previously contain a lot of great stuff, from color cosmetics, to hair, to skin care. The Pro ticket will get you in early so that you’ll have a chance to shop without extraordinarily long lines. When you’re let in with the rest of the crowd, things you want that are discounted can run out quite quickly! Great recommendations! I should really check out the NYX counter next time I’m at Globus. Yes! They are seriously one of a kind at the drugstore level. Jcat Wonder Lip Paints are also pretty great, and are only $4.99. Huge variety of colors, too. I also love the Jessica lip paints. I find those comparable to Too Faced! Those are fabulous!! And NYX lip creams are awesome! I’ve never heard of the Jessica Lip Paints! I’ll have to hunt them down because I love my Melteds! LOVE my OCC lip tars! Nothing quite compares to them. The Too Faced Melted lipsticks are great too- although I hate the applicator lol. You know, I really liked the applicator at first and thought it was pretty easy to use, but after a while the product clogs the little pathways so now I’ve got to squeeze it pretty hard to get it to come out of one of the holes.